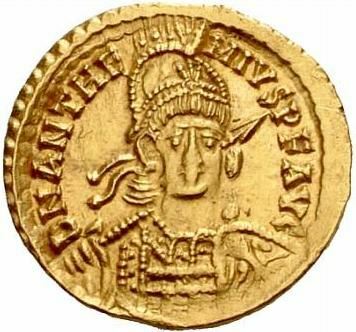 Procopius Anthemius Augustus was Western Roman Emperor from 467 to 472. Perhaps the last capable Western Roman Emperor, Anthemius attempted to solve the two primary military challenges facing the remains of the Western Roman Empire: the resurgent Visigoths, under Euric, whose domain straddled the Pyrenees; and the unvanquished Vandals, under Geiseric, in undisputed control of North Africa. Anthemius was killed by Ricimer, his own general of Gothic descent, who contested power with him.